Many people credit the triumph of Christianity to the message of Jesus of Nazareth. But credit for the success of Christianity in fact goes to an orthodox and pious Jew who never met Jesus. Paul’s life mission was to curb Christianity. He travelled from community to community persecuting Christians because they put Jesus, on the same level as God. He understood that for Christianity to spread beyond Judaism, the high barriers to becoming a Christian had to be abolished. Circumcision and the strict food laws had to be relaxed. But this was not enough, to spread the message Paul used his knowledge of the social network of the ﬁrst century’s civilized world from Rome to Jerusalem to reach and convert as many people as he could. He reached out to the people and places in the biggest communities of his era, in which the faith could germinate and spread most effectively. He was the ﬁrst and by far the most effective salesperson of Christianity, using theology and social networks equally effectively. Within the study history, Antiquity is one of the most interesting parts. The origin of the current Christianised Western society lays in the starting era. With Braudel’s theory of a more regional approach of history and the connectivity theory of Peregrine Horden and Nicholas Purcell in which they prescribe the Mediterranean as a ‘transport road’, starts a new approach of history which combines social network theory with network analyse. In this approach scholars are looking for links between networks and more specific the way how ideas are effectively spreading. 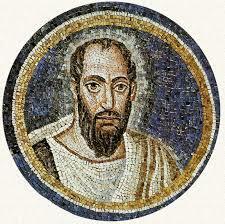 This site points the life and work of Paul and his usage of networks to spread the new gospel. How the famous Albert-László Barabási put’s it in his book “How everything is connected to everything else and what it means for business, science and everyday life” ‘ His mission was to curb Christianity. He travelled from community to community persecuting Christians because they put Jesus, condemned by the authorities as a blasphemer, on the same level as God. …………………He took his message to the original disciples of Jesus in Jerusalem and received the mandate to continue evangelization without demanding circumcision. But Paul understood that this was not enough: The message had to spread. So he used his ﬁrsthand knowledge of the social network of the ﬁrst century’s civilized world from Rome to Jerusalem to reach and convert as many people as he could. ………………He was the ﬁrst and by far the most effective salesperson of Christianity, using theology and social networks equally effectively. ………. As primary sources I used Act, the only source which prescribes Pauls approach. Act and the letters Paul wrote are part of the New Testament in the Bible and a rich source for understanding the way Paul operated. The book of Rodney Stark, The rise of Christianity, a sociologist reconsiders history provide a nice view of a sociologist looking from his prospective at the approach of Paul. The article of Anna Collar, Networks Theory and Religious innovations, in Mediterranean Historical Review, combines the network theory with Pauls religious innovations. In this research answer is given on the following questions. Who was the person Paul and what is the role and authenticity of the book Act. I explain the concept of network and network analyses and look at the Jewish diaspora around the Mediterranean. The approach of Paul and his message and the results of his works are examined. The conclusion is that St. Paul is one of the first historian figures who had a brilliant vision of how networks can be used for spreading new ideas and in this case a new religion. He used the network of Jewish diaspora their internal network in family, trade, occupation and neighbours in the Greek-Roman world for bringing a message for not only Jews but also the pagan world. His message was relatively easily adapted throughout all different social levels in that society and was the fundament of an enormous growth in following centuries. Harland ,Philip A. 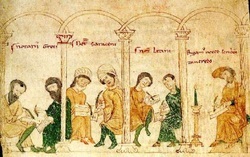 Connections with Elites in the World of the Early Christians, Handbook of Early Christianity: Social Science Approaches, 385-408. Pearson, Birger A. 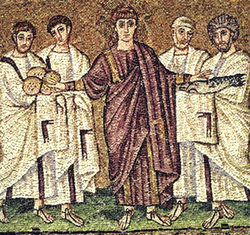 “Christians and Jews in First-Century Alexandria.” The Harvard Theological review 79, no 1 (january-july 1986): 206-216.Hier klikken om te bewerken.